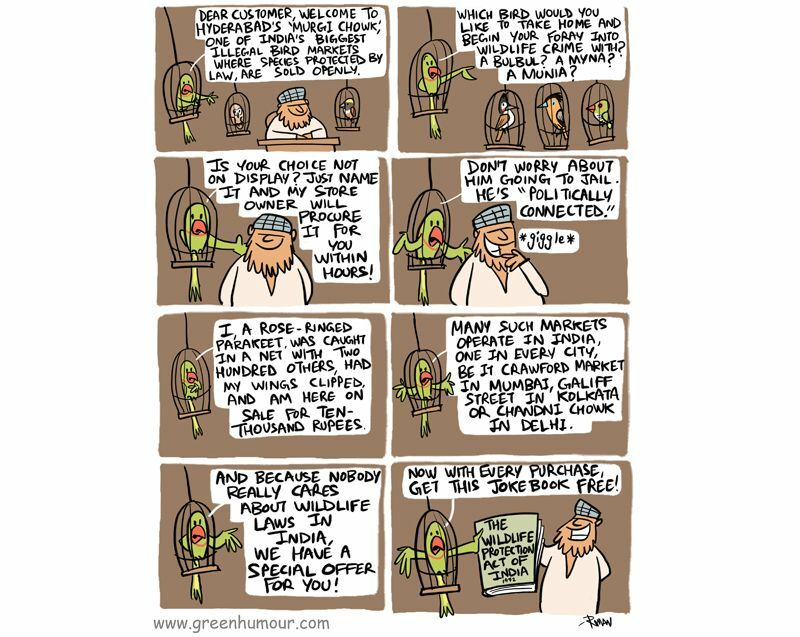 Cartoonist, illustrator and wildlife buff, Rohan Chakravarty has been spreading Green Humor on the internet since 2014. 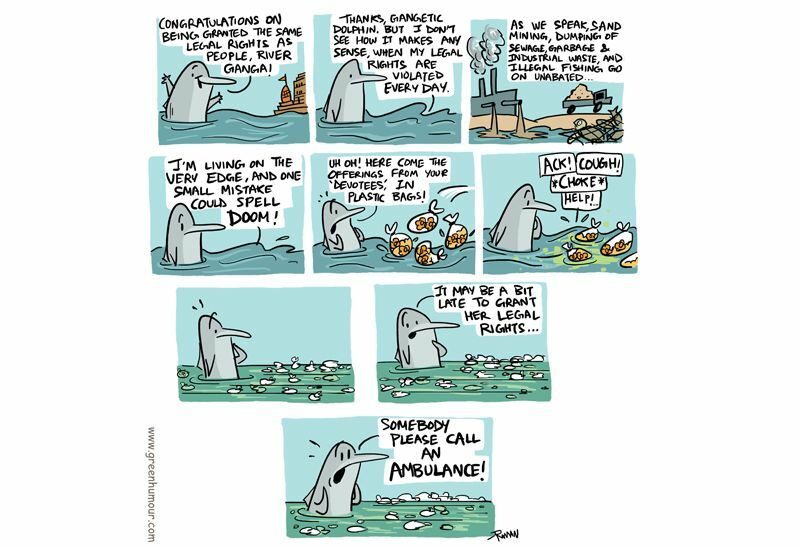 Green Humor is Rohan’s unique way of translating complex news and messages on environment conservation into cartoons that tickle your brain and make you laugh out loud. 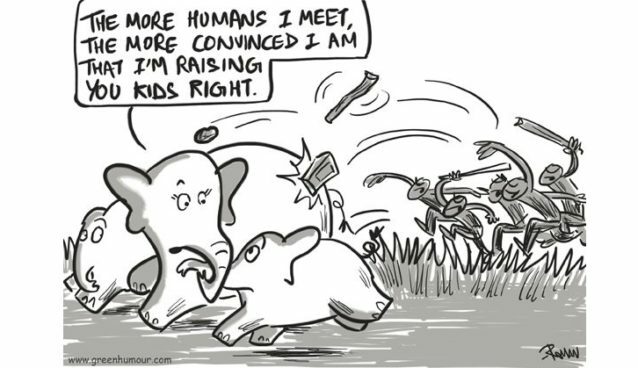 29-year-old Rohan, the coolest and youngest wildlife cartoonists of India, was recently felicitated for his effort with WWF International President’s Award 2017. 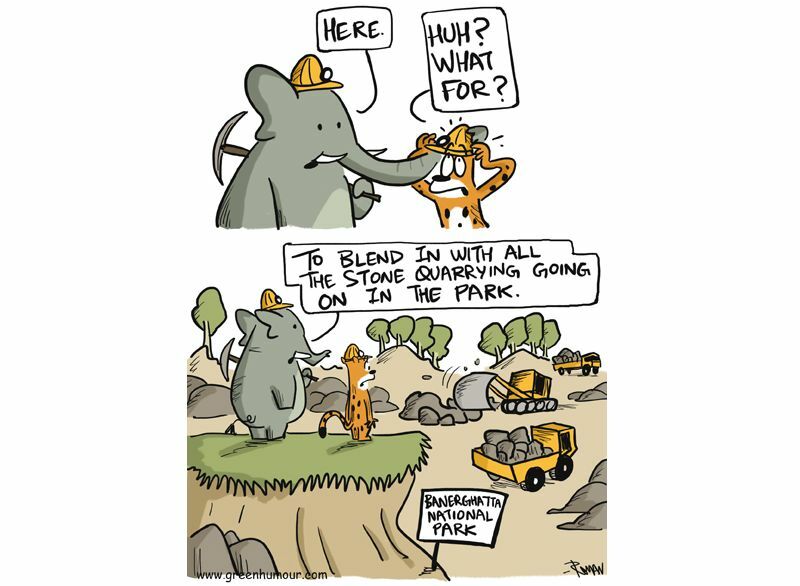 With his consistent efforts to change attitudes towards nature, Rohan has created over 400 cartoons all centered around environmental issues. The fire for wildlife and conservation was ignited in the Nagpur boy by his naturalist grandfather. The boy, an avid cartoonist today, is completely self-taught. 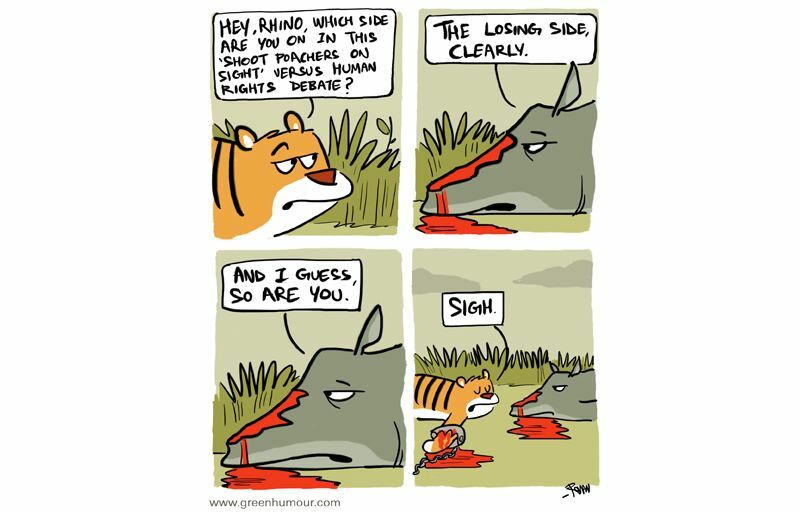 Rohan’s cartoons are centered on wildlife and nature and he is critical of poaching, wildlife terrorism and global warming. I believe cartoons are an effective means of communication. Satire hits you as hard as a slap. My subject involves a lot of jargon that is difficult for a lay person to understand. So I break it up into interesting bits of information. It’s a virtual hug from an animal to a reader. Considering his cartoons touch upon the subject very close to our hearts, we thought we’d do a rundown on his best India news-based cartoons of 2017. Jump down for 10 fantastic cartoons that’ll make you think and laugh at the same time. 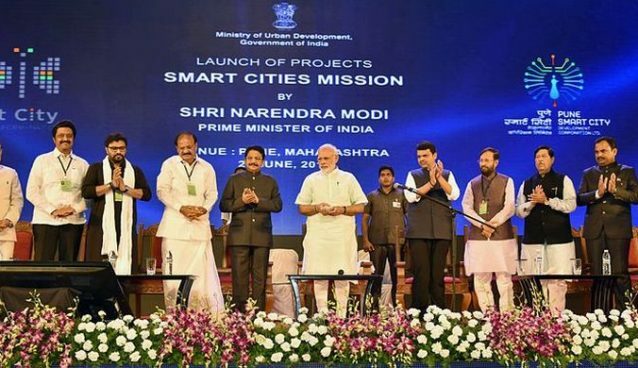 Mumbai is scheduled for a Metro project, which has put a large stretch of mangrove forests in jeopardy. Mangroves forest along the coastline are considered the lifeline of Mumbai’s coasts. 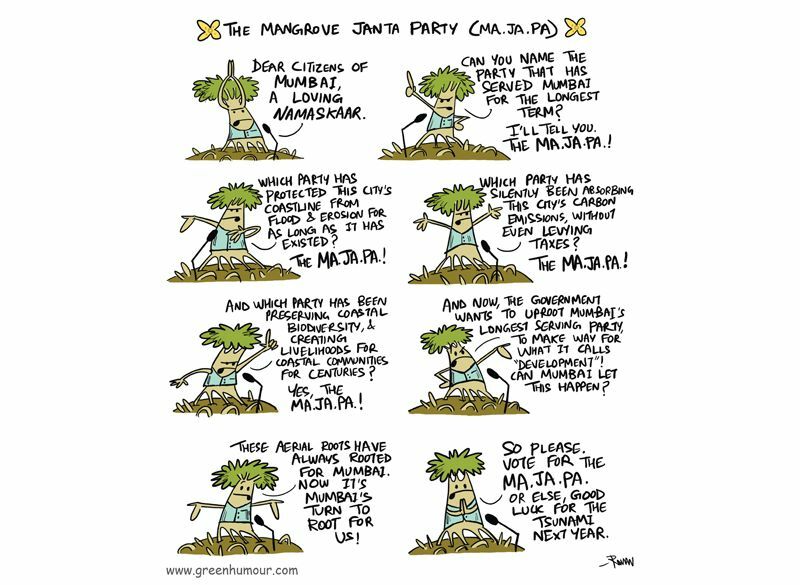 Through his satirical cartoon, Rohan asks if Mumbai can let the Mangroves be felled for the so-called development. 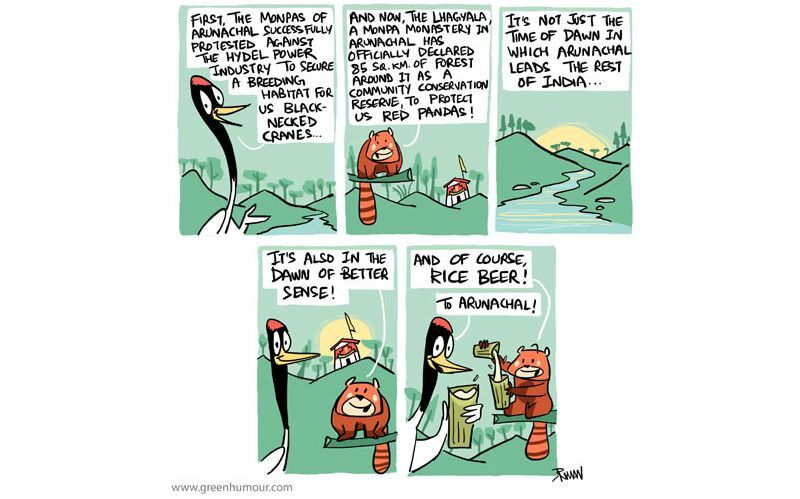 Rohan came up with this to appreciate the Lhaghyal Monastery in West Arunachal Pradesh, which set aside forest area for as a community reserve to conserve the Red Panda. Hyderabad’s ‘Murgi Chowk’ where you’ll find just about any bird you want for sale; it’s illegal but goes on unperturbed. 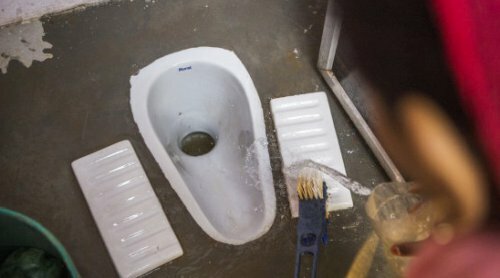 It’s not the only such place in India sadly, it’s just one of them. 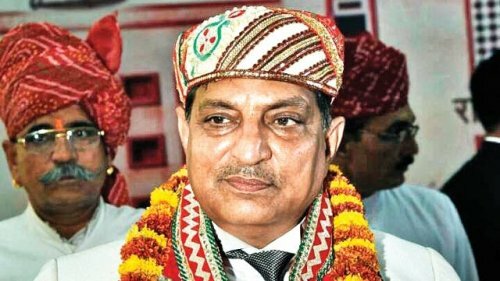 Ganga River is now a living entity, just like one of us, thanks to the Uttarakhand High Court. 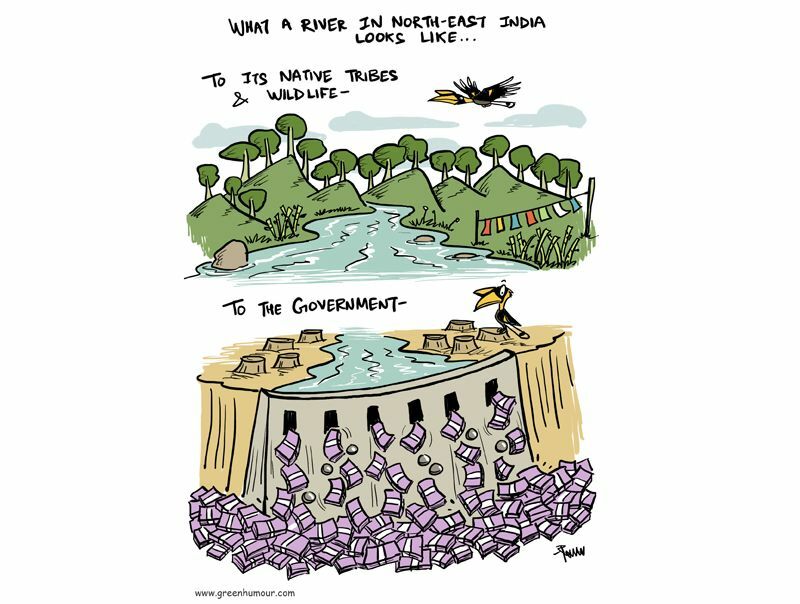 Will this help the sacred River’s cause in anyway – here’s Rohan’s take on it. Kaziranga National Park has ordered its forest staff to shoot down any suspected poacher at sight. The shoot at sight orders against poachers has led to 23 human deaths in last couple of years, yet 17 Rihnos have been poached in the same period. A BBC documentary on this shoot at sight order raised a huge question about ethics and human rights. A similar shoot at sight order against poachers has been given to the forest staff at Corbett National Park. Taking a jibe at the two instances, Rohan has this comic for us (pictured above). 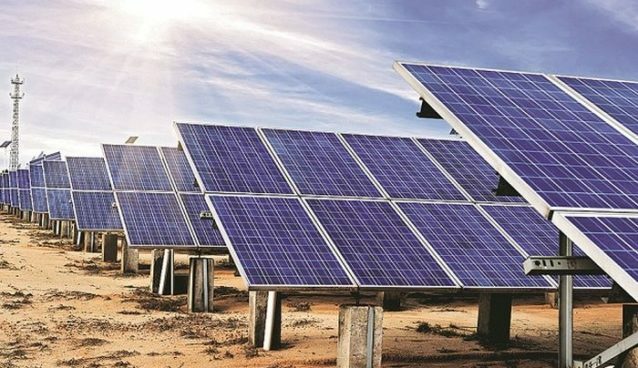 Be it be in the hilly states of the north or the north east of India, hydel power (with growing number of plants) has become one of the greatest threats to the rivers, ecology and the areas around. 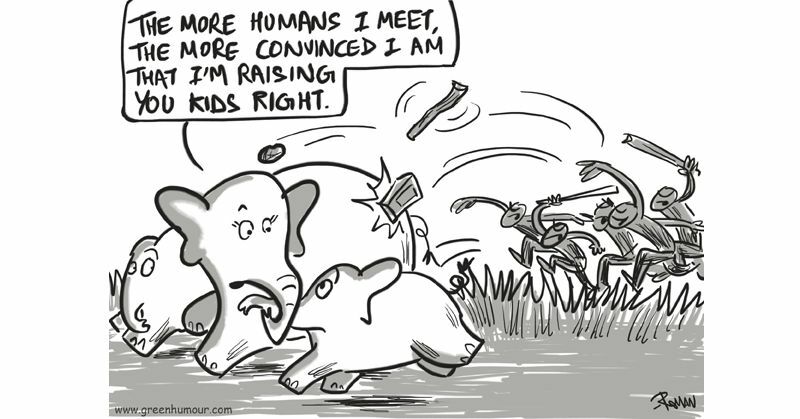 Man versus Elephant conflict in Orissa has become a news of national importance. Primarily for two reasons – one, humans have encroached into forestland on the outskirts of Bhuwaneshwar, leaving elephants without a habitat of their own; secondly, the same people assault the elephants for amusement, the adult elephants are forced to stand guard for their families and it leads to fatal encounters. Banerghatta National Park near Bangalore is home to elephants, leopards, sloth bears, variety of reptiles and amphibians and a wide variety of birds. 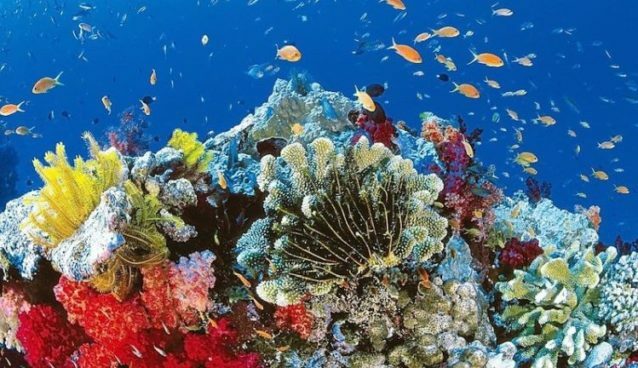 Sadly, due to human intervention – illegal stone crushing and mining, the habitat of the animals and birds is in danger. 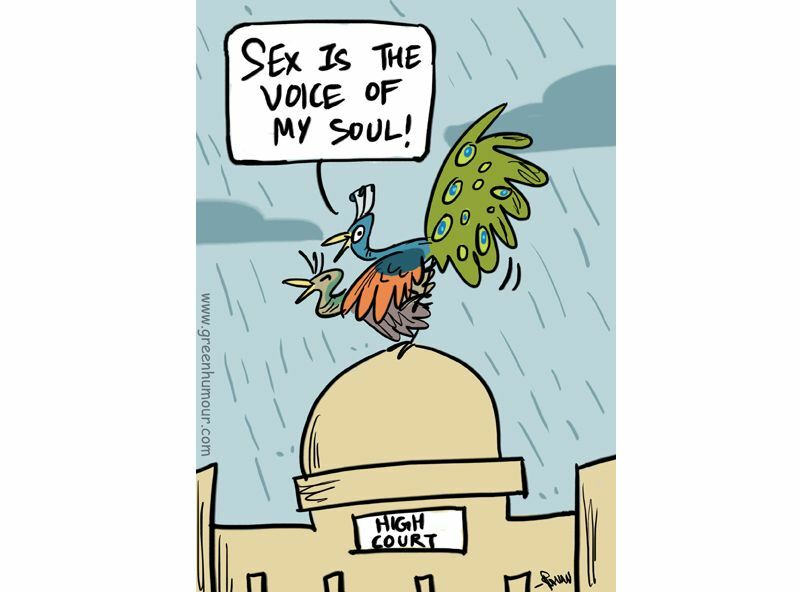 Showing the plight of the animals is Rohan’s cartoon above. 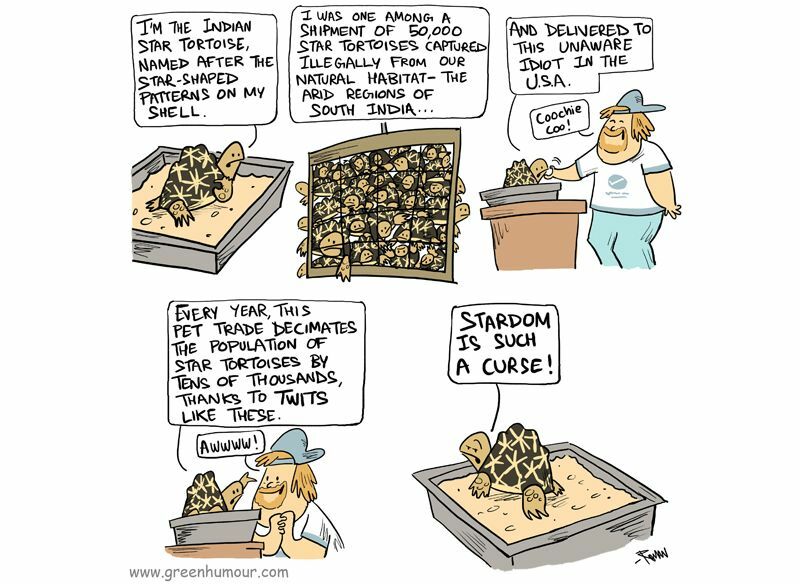 Indian Star Tortoise is on the verge of extinction, just because of the exotic pet owners around the world. The Indian Star Tortoise is massively in demand, and is one of the most trafficked animal in illegal pet trade. Like save the tiger campaign, we need one for these poor tortoises too.